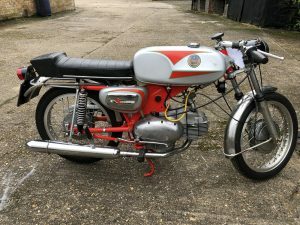 Brightwells is delighted to have been given the opportunity to offer, in their September 26th auction, what can only be described as a unique collection…. Curiosity, coupled with enthusiasm and wine, is mainly to blame. 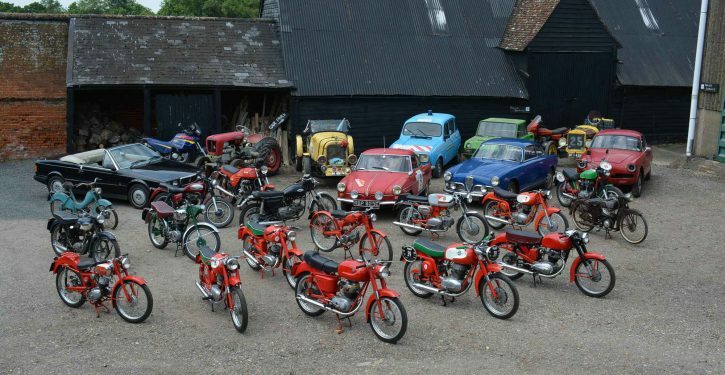 A collection of fifty eclectic cars and motorbikes, following no exact set pattern – encompasing everything from Maserati motorbikes, Lamborghini tractors, Welsh motorbikes, 2CV’s, to Russian military invalid cars. Andrew (Drew to family and friends) was brought up surrounded by cars and bikes. He and his brothers Geoff and Ed continually bought tinkered and fettled with machinery, in order to visit girlfriends, or go to the pub. “But it was at the age of 21 that my father’s Italian love affair really began, by borrowing money, from his boss, to buy himself a birthday present of an Alfa Giulietta Sprint – a most pretty car which remained in our family for the next fifty years” says son, Myles Bremner. 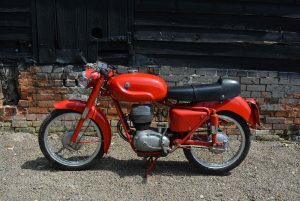 Beguiled by the reintroduction of the Italian Motogiro event in 2001 (the motorbike version of the Mille Miglia), Andrew focused on small producers turning out small bikes – the birth of Ducati, MV Augusta, Moto Guzzi, Benelli, as well as many other now long-gone marques – Bianchi, Moto Morini, Gerosa. 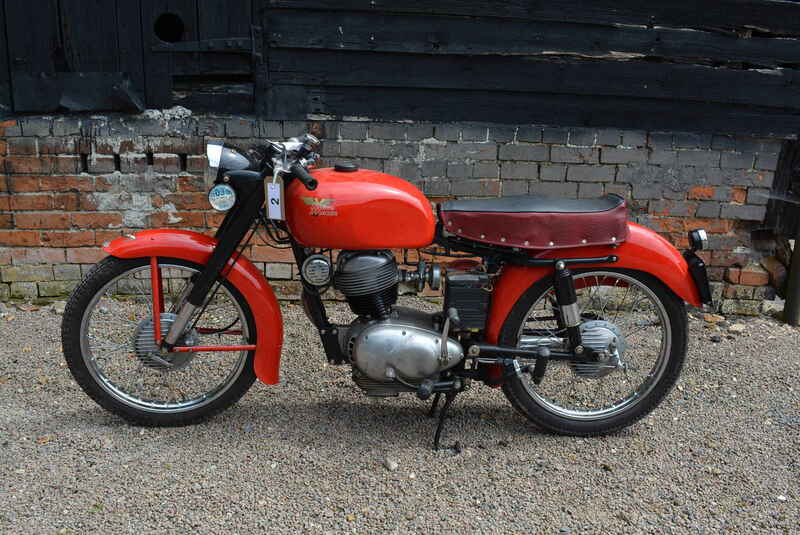 A Gilera 150cc bike for restoration came first, then a Bianchi Tonale to compete in his first Motogiro race. 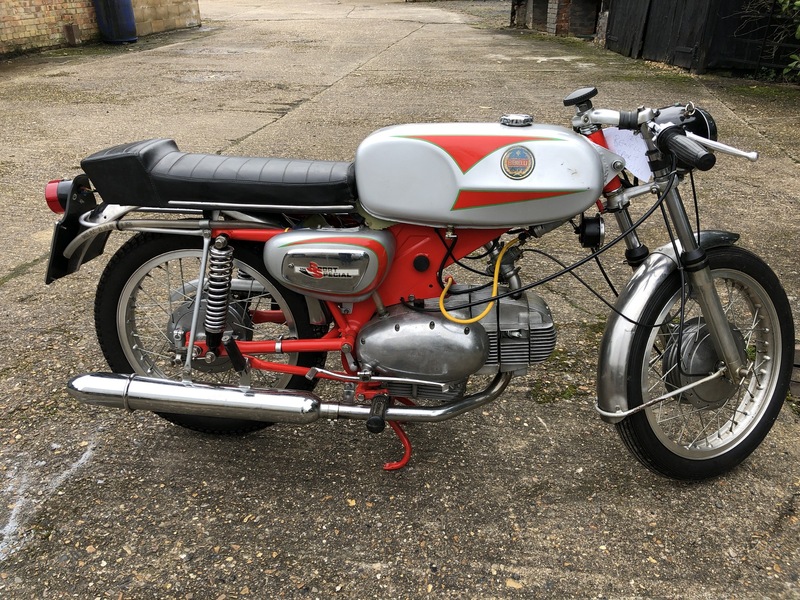 Andrew completed a total of nine Moto Giros, amassing not only an envious collection of Giro suitable bikes (under 175cc and pre-1960, and all painstakingly restored by himself) but also a huge number of contacts, friends and stories. The vision of Andrew, a large man of six foot four, astride a small bike, became a vivid feature juxtaposed against those wiry, leather clad Italians. A big van always came in useful. Going out to Italy (or perhaps Spain for the annual Colombres rally) with a race bike, or two, but always coming back with additions picked from a farm hedge or yanked from the back of a dusty workshop. 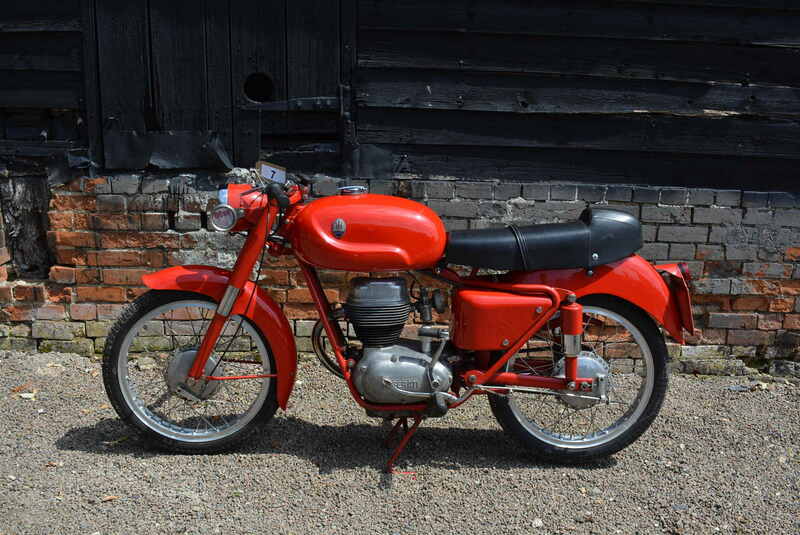 And so, the collection grew with bigger Italian bikes – such as the brutish, Paris-Dakar styled, Cagiva Elefant, the sublime boom of a six-cylinder Benelli 900 Sei, or the curious hybrid 350cc Aermacchi/Harley Davidson. In tandem with Italian exotica, came others – a 1954 HJH motorbike and Bown Springer moped, both from Wales, two 1920’s French Monet Goyon’s, a 1950 New Hudson Autocycle. The list goes on, and on. “My father enjoyed the restoration as much as the finished article,” says Myles Bremner. A master of the web search engine, Andrew had constant flashes and alerts for makes, models and spares. Friend and family prompts brought new lines of enquiry. Sometimes the timing came just right. Ebay in one hand and a glass of wine in another. After one glass, Andrew would like it. After two, he wanted it. Three, and it was his. Location was never important. His 1925 Dodge Brothers Model 4 Roadster was bought from a gentleman in Auckland, not Bishops Auckland as first thought – but Auckland, New Zealand. Shipping companies quickly became Andrew’s friend. 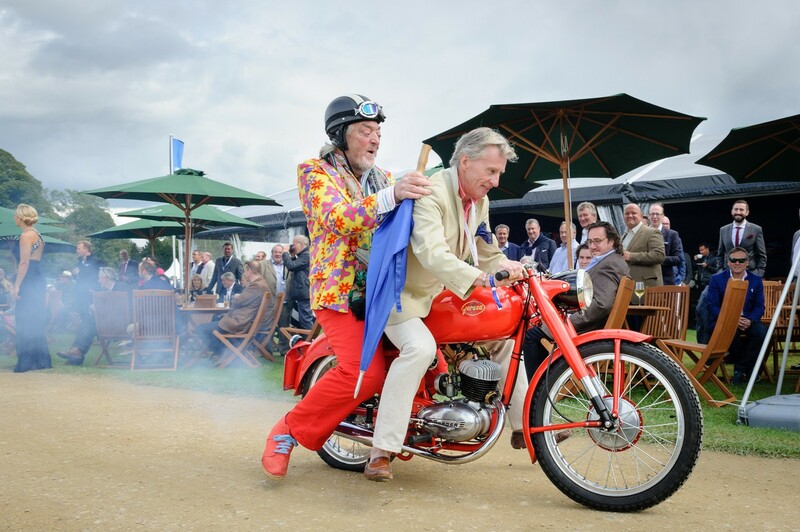 As health and age challenged motorcycling activities, Andrew increasingly turned to car curiosities, and their participation in classic events and rallies. A 1967 NSU Sport Prinz used for the microcar Liège-Brescia rally; the Dodge and the 1925 Model T Racer both regulars at Kop Hill and other quintessentially English hill climbs. The Dodge acquired the class record at the Nurburgring (well, for that day anyway). The recently restored 1926 Hotchkiss AM2 would have had a great future ahead of it. Then the collection became more eclectic. Not the Maserati V6 Bi-Turbo Spyder, but to the bright yellow 2CV, or the Renault 4 Police car direct from France. And then the rarest of them all – a Zaz SMZ Invalidka. Given out to disabled Russian ex-servicemen for a five-year loan, to be returned to the state for crushing. Andrew managed to smuggle one out of Lithuania (naturally picking up two further Zaz’s on the way). Together with a Lamborghini Tractor – painstakingly restored and painted, only to be left in the yard to acquire an agricultural patina – and the ubiquitous Sinclair C5, the collection is a true reflection of Andrew Bremner. Not acquired for future wealth or investment. Not singular in its approach. A perfect goingto-the-pub collection. A collection celebrating the stories of ambitious individuals and enterprises who wanted to show what could be done with mechanical parts. “This is likely to be the sale of the year for lovers of Italian machinery and anything a little quirky. There really is something to interest all, from beautifully restored pieces, the work on which is some of the finest I have ever seen, to restoration projects in their raw state. There are lots of rare pieces, bits for the conventional investor and in contrast bits for the English eccentric. It is well worth a look!” said Jim Henshaw, Brightwells Classic Car Consultant. Further details on the full collection can be viewed on brightwells.com/classic-motoring. Viewing takes place at Brightwells Easters Court Sale site on Tuesday 25th September from 9am to 7pm.